Incoming students at Arent Fox. 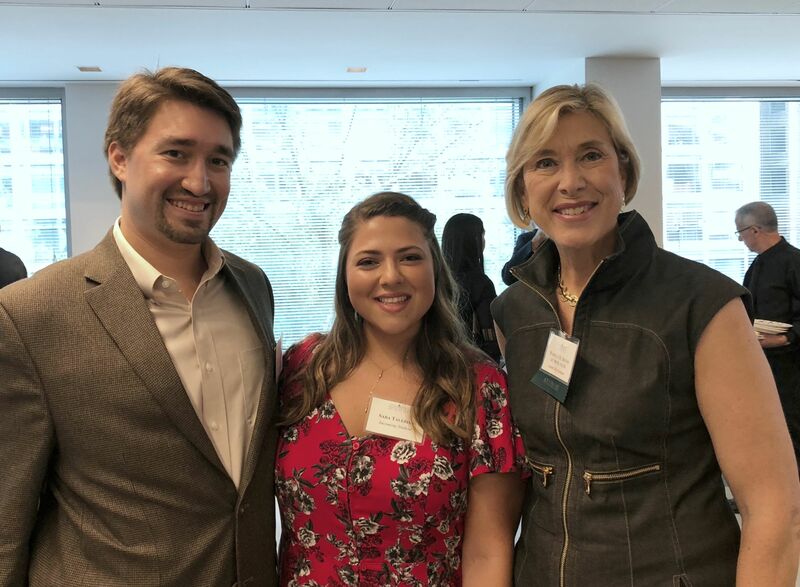 On Wednesday, June 27, American University Washington College of Law hosted a welcome reception for the incoming Fall 2018 JD class at the downtown Washington, D.C. offices of Arent Fox LLP. The event, attended by more than 125 new students, guests, alumni, and AUWCL faculty and staff, featured remarks from AUWCL alumna Pamela Deese, Intellectual Property partner at Arent Fox and a member of the AU Board of Trustees. Pam Deese (right) with incoming students.